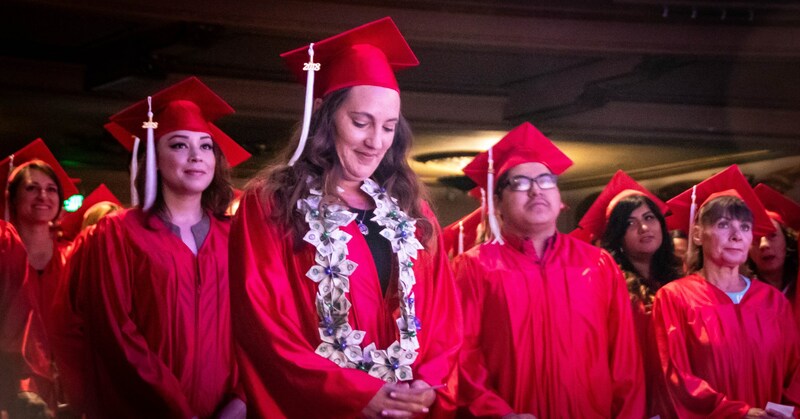 As the lights dimmed in the packed Fox Theatre in Redwood City this past June, the graduation procession began and 130 JobTrain students filed in to take their seats among their fellow graduates. 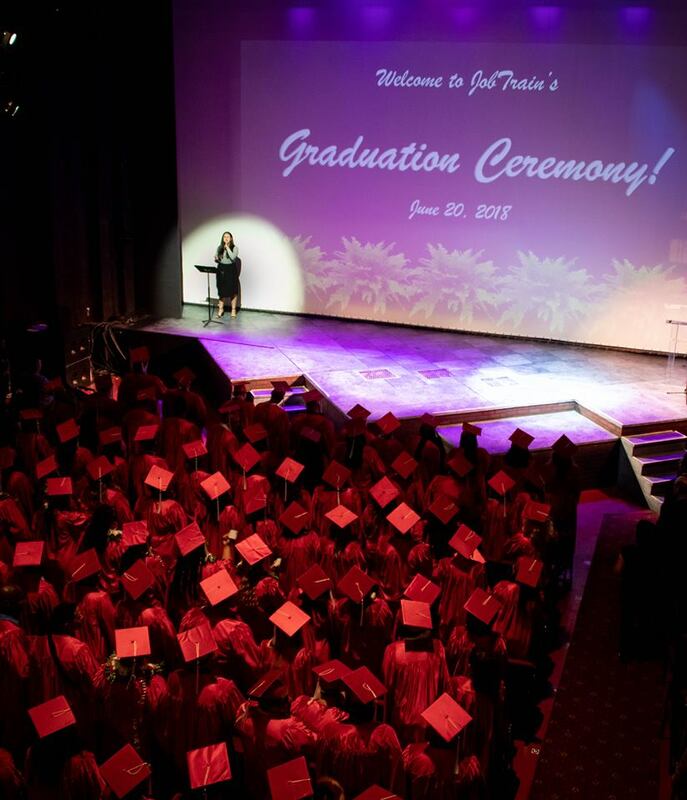 Over 1,000 family and friends gathered to join in the celebration of JobTrain graduates for their hard work and success. 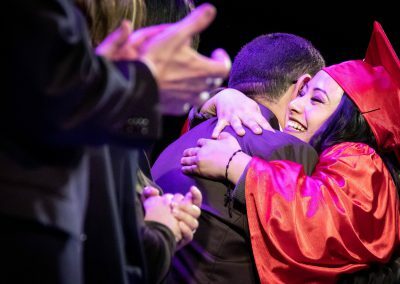 This year’s graduation was by far the largest attended in JobTrain graduation history. 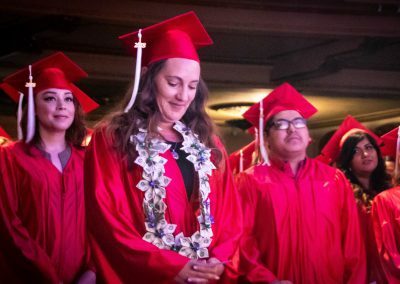 All in attendance were inspired by graduate speaker Tanya Baudin, encouraged by Board member Teri Eyre, uplifted by keynote speaker Rev. 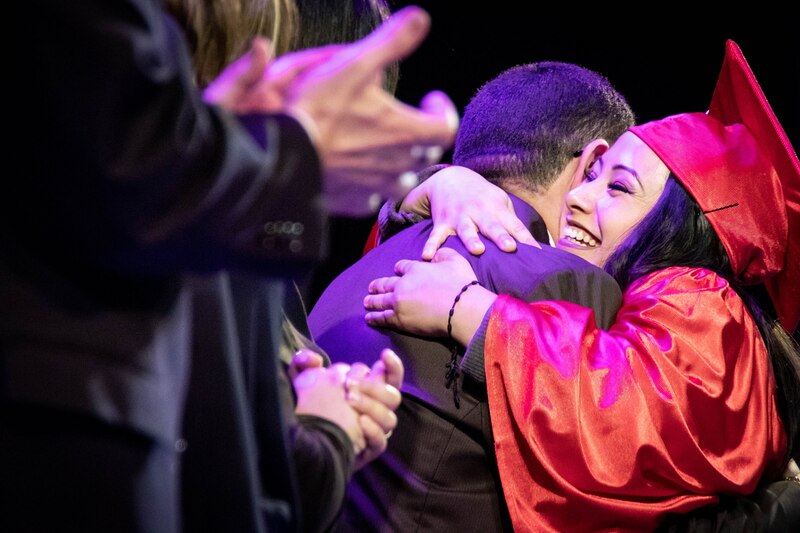 Teirrah McNair, and moved by commencement remarks from JobTrain’s Steve Schmidbauer. 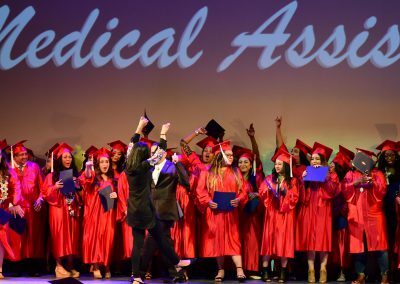 Ultimately, all were thrilled for and inspired by the bright and wide-eyed graduates who took the stage one by one to be recognized. 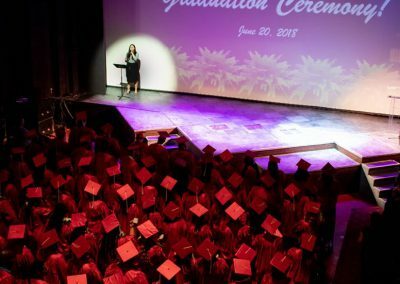 The walk on the stage was a short distance, but to each graduate, it signified a journey of hard work, sacrifice, and dedication to a new beginning. Without the support and the work of the JobTrain community, this event would not be possible. Thank you to all who support JobTrain, helping us help people transform their lives.